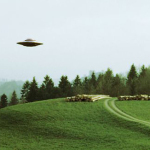 Welcome to the Billy Meier UFO Research website! › Forum › Photos › Great space journey pictures › Apollo-Soyuz pictures et al. This topic contains 4 replies, has 4 voices, and was last updated by pleiadian_sprout_sax 2 months, 1 week ago. Billy Meier claims that during his Great Space Journey (See Contact Report 31), he witnessed the entire docking maneuver of Apollo & Soyuz-19 spacecrafts and also photographed it. Please first read the below analysis done on 11 pictures of Apollo-Soyuz et al. which are published in late FIGU Core Group member Guido Moosebrugger’ book (And Still They Fly/Und sie fliegen doch!) & also in Contact Report 31 (Pleiadian/Plejaren Contact Report Block 1) as genuine; and then respond what you think of the analysis and the implications. May I suggest that you hide the personal email addresses of people you’ve corresponded with to get information? Great work on the site! We did hide the personal email addresses of people who doesn’t want it to be revealed. And we let those email addresses visible which are already in public arena or which they don’t have a problem with. “he witnessed the entire docking maneuver” I thought you said he was homophobic?